(CNN) — As the country continues to debate police accountability and the all-too-routine killing of unarmed black men by white law enforcement, it’s imperative to understand that this issue is not just about black people and white people. In fact, despite the available statistical evidence, most people don’t know that Native Americans are most likely to be killed by police, compared with other racial groups. Native Americans make up about 0.8% of the population, yet account for 1.9% of police killings. When Native Americans are shot and killed by law enforcement, there’s rarely much news coverage of those incidents. There are no outcries from any community other than our own. There are no white or black faces rallying around us, marching with us, protesting with us over this injustice. Why? Because we are a forgotten people. 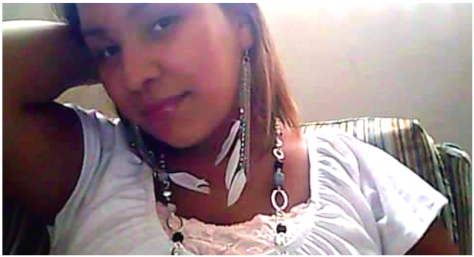 On Tuesday, Indian Country Today reporter Sarah Sunshine Manning wrote about the July 6 death of a 24-year-old Lakota woman named Sarah Lee Circle Bear of Clairmont, South Dakota. Circle Bear was jailed on a bond violation at the Brown County Jail in Aberdeen. On Sunday, July 6, she was found unresponsive in a holding cell. According to KELO, Circle Bear was taken to a nearby hospital where she died later that same day.